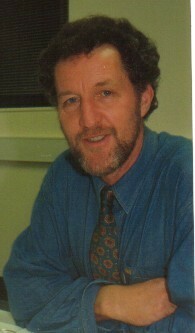 John H Williams, 54, is a teacher with an Honours B.Sc. (University of Wales) and a Diploma in Education (London University). He emigrated to Australia in 1966. I was baptised and confirmed in the local church – The Church of England in Wales (Anglican) – but I never believed a single word, though I sat through hundreds of sermons and sang hymns and psalms in the church choir. After starting university I never went to church again, except to get married. Gradually, I've become more interested in psychology, comparative religions and cosmology, my heroes being Carl Sagan, Phillip Adams, Stephen Hawking and Paul Davies. I've had correspondence duels with individuals who hold what I perceive as strange beliefs e.g. JWs, Christadelphians, creationists, etc. I've had quite a few letters printed in The Advertiser and The Messenger Press on skeptical themes. I've always been a very active sportsman, mostly soccer, cricket, rugby and track and field. I've had most success as a steeplechaser and won an Australian 3000m veteran (over 40) title in 1984. I've run 15 marathons (fastest 2hr 29min). I'm a Level 1 coach in Orienteering and a keen cyclist, swimmer, walker. Other interests: My children, reading, travel, camping, photography, cinema, politics, music, the media and watching top sport on TV. John has public speaking skills and has been on television and radio. Currently he studies Advanced Writing at TAFE.